when they see that he's entering a case." John ("Fitz") Fitzpatrick is the epitome of a trial lawyer's trial lawyer. For more than 30 years, he has been in the trenches, steadily trying in excess of 220 cases to verdict in over 40 states, and obtaining defense verdicts in the vast majority of those cases. Fitz has truly developed a reputation as the go-to, bet-the-company trial attorney for high-exposure, catastrophic matters. His cases have involved allegations of injury attributable to medical devices, pharmaceuticals, asbestos, medical malpractice, infant car seats, natural gas explosions, and stray voltage from power companies. Fitz's experience ranges from class action lawsuits involving both consumer products and employment issues to bad faith insurance claims to birth trauma and traumatic brain injury cases. His ability to quickly assess a case, tell a story, and charm a jury contributes to his exemplary record of success and has resulted in his being retained as lead trial counsel in high-exposure cases involving nationally recognized companies. Fitz's clients include General Electric, AT&T, Yum! Brands, Allstate, Family Dollar, and Evenflo. He is also national trial counsel to major insurance companies, such as ACE, Aegis, AIG, CNA, Electric Insurance Mutual, and Premier, for catastrophic, product liability, toxic tort, medical malpractice, and personal injury claims. Clients often call on Fitz to parachute into a trial two to three weeks before jury selection and get up to speed—if not set the pace—very quickly. Recent evidence of this includes a two-week asbestos wrongful death trial in Philadelphia in the fall of 2013, in which he was engaged three weeks before trial and, after all the arguments were heard, obtained a complete defense verdict from the jury following just 15 minutes of deliberations. In addition to representing top companies in their high-stakes trials, Fitz is national trial counsel for asbestos personal injury and wrongful death cases for General Electric, Foster Wheeler, Leslie Controls, Velan, and Dana Corporation. Just since joining WTO in 2007, Fitz has tried over 30 cases to verdict in 10 states and many of the so-called "judicial hellholes" for corporate America, including Philadelphia, Baltimore, Los Angeles, San Francisco, and Madison County, Illinois. He frequently presents to corporate counsel around the country on how to select experienced trial lawyers for high-exposure cases. In addition to asbestos personal injury and wrongful death, Fitz has extensive experience trying medical malpractice actions throughout the United States. Since 2006, Fitz has tried over 35 high-exposure medical malpractice cases to verdict in 16 states and prevailed in 95% of them. He has won defense verdicts in highly charged cases involving birth trauma, brain injury, spinal injury resulting in paralysis, and death. Fitz's first medical malpractice trial, in Virginia in 1989, led to creation of the largest medical malpractice team in that state over the next 20 years. Fitz generally had three to five of the top defense verdicts in Virginia in any given year. His expertise in cases involving babies who suffered brain damage at birth led CNA Insurance to appoint him national trial counsel for birth trauma cases in 2002, and then to assist CNA in selecting a national birth trauma team, which has since evolved into a national catastrophic injury team. In 2005, Fitz was named CNA's 2004 Health Pro Litigator of the Year. Fitz has also served as national trial counsel for high-exposure medical malpractice cases for insurers Premier and AIG, and large hospital groups such as MedStar Health and Universal Health Services. A former concert pianist and Army Airborne Ranger, Fitz began his legal career in 1981 with the U.S. Army JAG Corps as a prosecutor trying criminal cases in Colorado. He became the Eighth Army Division's Chief Prosecutor in South Korea in 1983 before being selected as the senior medical malpractice attorney for the U.S. Army Tort Branch at the Pentagon in 1986. There he tried 12 civil cases to verdict in federal courts across the country before entering private practice in Richmond, Virginia, in 1988. 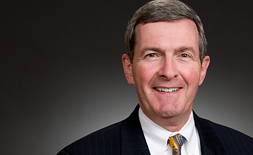 Fitz's civilian trial career started when he was selected as the youngest national trial counsel for Owens-Corning's asbestos trial team in 1989. John “Fitz” Fitzpatrick has tried over 220 cases to verdict in more than 40 states, winning defense verdicts in the vast majority of them. He is a true generalist trial lawyer, having won for sophisticated clients in major trials across a broad range of industries. 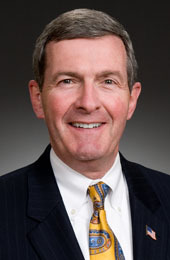 Fitz is one of only three lawyers in the nation specifically ranked by Chambers USA for asbestos toxic torts. During the appeal of an adverse verdict in a multimillion-dollar trial in which jurors were given the wrong instruction, plaintiffs offered to settle 11 mesothelioma cases for six figures, total, just to get WTO out of ongoing litigation involving other defendants. Obtained midtrial settlement, for less than the cost of defense, for Foster Wheeler in a trial that went to an eight-figure verdict against the other defendant. The plaintiff simply wanted WTO out of the case. Obtained four-figure midtrial settlement for Dana Corp. as plaintiff closed its case in Cook County, IL. Negotiated five-figure settlement for GE during Phase 2 of a reverse bifurcated trial in which the plaintiff won Phase 1 but was awarded only 4.2% of demand. The settlement was less than 1% of the demand in Phase 2. Obtained the first defense verdict for Foster Wheeler in an asbestos personal injury case in California. Won the first asbestos wrongful death defense verdict for General Electric in Madison County, IL, one of the top "judicial hellholes" for corporate America as featured in The Wall Street Journal. Angelo v. Foster Wheeler (N.D. Ohio, 2008) - Tried an asbestos wrongful death case to a hung jury in Cleveland. The plaintiff never retried the case. Rollin v. Foster Wheeler (C.D. California, 2008) - Obtained judgment not withstanding verdict in a $9 million mesothelioma trial in California. Sparta Insurance v. Garfias (E.D. Wash. 2014) - Won a defense verdict in federal court in Spokane, Washington, for Easterday Farms in a $12 million personal injury case involving an explosive collision between two tractor-trailers. Shaw v. Pizza Hut (M.D. Fla. 2009) - Won a defense verdict for Pizza Hut/Yum! Brands in liability case stemming from an automobile accident involving a delivery driver. Fletcher v. Pizza Hut (E.D. Va. 2009) - Won a defense verdict for Pizza Hut/Yum! Brands in a liability case involving traumatic brain injury and over $3.5 million in damages following an accident involving a Pizza Hut delivery vehicle. Won a defense decision for a Philadelphia psychiatric hospital in a two-day medical malpractice arbitration involving the death of a patient killed in an auto accident hours after being discharged. Won a complete defense verdict for a Florida hospital in a three-week medical malpractice trial. The case involved a baby who suffered cerebral palsy after a rare delivery complication. The plaintiff sued the hospital for $7 million, claiming complications could have been avoided had a C-section been performed. The WTO team successfully argued the complication was unpredictable and unpreventable, and the doctors actually saved the mother and child. Won a defense verdict for a Washington D.C. hospital in a $40 million medical malpractice lawsuit that involved a baby born with severe brain damage. Represented a hospital in a four-week trial in California involving special damages in excess of $10 million in claims relating to the care of an adult male with brain damage. The jury returned a verdict of $6 million, but also found the plaintiff 75% contributory negligent. After the setoff from settling the defendant, WTO's client owed only $37,000. Won a defense verdict in a medical malpractice case in Florida involving permanent brain injury to a well-known plaintiff's lawyer. WTO was asked to take over the case two weeks into trial and after both local and regional defense counsel recommended settling the case for $12-15 million. Obtained a defense verdict in a New Hampshire trial involving the death of a 63-year-old man following complications from gall bladder surgery. With just two weeks' notice, WTO demonstrated that an empty oxygen tank, which the decedent used for supplemental oxygen shortly before his cardiac arrest, did not cause his death. Ultimately, the jury agreed. Successfully defended a spine surgeon in a two-week trial in South Carolina brought by a paralyzed plaintiff who blamed the surgeon for not recognizing the early signs of paralysis. Hadjih v. Evenflo (D. Colo. 2015) - Won a complete defense jury verdict in federal court for Evenflo in a $15 million failure-to-warn trial arising out of permanent injuries to a child involved in an accident while riding in an Evenflo infant seat. This was the retrial of one claim from a 2012 case, which WTO won on the issues of design defect and consumer expectation. Failure-to-warn was taken from the jury on directed verdict, then appealed to the Tenth Circuit and sent back to the trial court for jury consideration. Hadjih v. Evenflo (D. Colo. 2012) - Won a unanimous jury defense verdict in federal court in Colorado on behalf of Evenflo Company in a two-week trial involving liability for permanent injuries to a child strapped into an Evenflo car seat during an auto accident. Ultimately, the jury agreed with our argument that the seat saved the child's life rather than caused the child's injuries. Lobato v. Travelers, No. 18-cv-00504-REB-MEH (D. Colo. 2019) - Secured a "walk away" dismissal of a multimillion-dollar underinsured-motorist insurance lawsuit for bad faith and punitive damages. One month before trial, the plaintiffs agreed to drop the lawsuit, and the client paid nothing. King v. Allstate Insurance (D. Colo. 2013) - Won a complete defense verdict on behalf of Allstate Insurance Company in an insurance bad faith case brought in the United States District Court for the District of Colorado. Successfully defended a financial services firm in a five-day trial in Richmond, Virginia, involving claims of breach of contract, fraud, and unjust enrichment. "Don't Be Afraid of the Courtroom – Defend Good Medicine" presented at the Endurance 2015 Healthcare Summit, Nashville, TN (May 14, 2015)"
"Taking Down Plaintiff's Expert" presented at the Aegis 2014 Claims Seminar, Miami, FL (October 2014). "Lung Cancer Closing Arguments: Actual Lung Cancer Closing Presented Out of the Presence of Each Other," presented at the DALS Conference, Las Vegas, NV (June 2014). "Diffusing Sympathy, Exposing Fraud in Experts – Turning the Plaintiffs' Reptile Theory on its Tail – and Win for the Defense," presented at the ABPLA Conference, South Beach, FL (May 2014). "Diffuse Sympathy and Win Your Case by Crushing the Plaintiff's Expert's Credibility," presented at the DRI Conference, Phoenix, AZ (April 2014). "Manufactured Litigation and Other Frauds Trial Lawyers and In-House Counsel Face," presented at The Network of Trial Law Firms seminar, Laguna Beach, CA (November 2013). "Digging Deep to Attack Bias of the Plaintiffs' Experts," presented at the DRI Product Liability Conference (April 11, 2012). "The Navy's Got Your Back," presented at the DRI Asbestos Medicine Seminar (November 10, 2011). "Navy Case Update: Death on the High Seas Act and Doctrine of Uniformity," presented at the Asbestos Litigation Conference: A National Overview and Outlook (September 21, 2011). "A Trial Lawyer's Guide to the Universe," presented at a meeting of the Network of Trial Law Firms (November 19, 2010). "U.S. Navy Ship and Shipyard Asbestos Cases," presented at the National Asbestos Litigation Conference (September 13, 2010). "The Post-OSHA Warnings Case," presented at DRI Asbestos Medicine Seminar (November 12, 2009). "Does Every Fiber Really Contribute?" presented at DRI Asbestos Medicine Seminar (November 12, 2009). "Selecting Outside Trial Counsel," presented to Association of Corporate Counsel Colorado Chapter (March 21, 2007). "Tough Cases, Tough Defenses and Great Results," presented at The Network of Trial Law Firms (June 2004). Denver Business Journal, "Ohio-based car seat maker wins in Colorado failure to warn case," December 28, 2015.